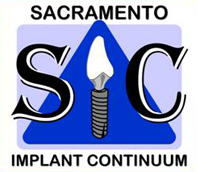 Capital Oral Surgery has been serving the Greater Northern California area for over 20 years. We pride ourselves in being a positive reflection of the quality of care that our referrals provide to their patients. With two offices and three doctors, Capital Oral Surgery provides efficient access to emergency treatment for the entire central valley. also introduced the use of laser surgery in order to minimize soft tissue damage during surgery. Our PRP machine has been an adjunct to our pre- implant and implant surgery. Our Doctors maintain full hospital privileges at Mercy General Hospital. At Mercy, the Doctors perform corrective jaw surgery, TMJ surgery, maxillofacial trauma surgery, and reconstructive surgery. Additionally, we are contracted providers to both Hills Physicians Medical Group and Mercy Medical Group of Sacramento. At Capital Oral Surgery we feel that providing continuing education for our referring doctors is our responsibility as oral surgery specialists. We regularly schedule "Lunch and Learn'' sessions for doctors and staff in order to provide CE Units. Recent topics have been Medical Emergencies, Bone Grafting Extraction Sites, Understanding Conebeam Technology, and "All on 4" Restorative Concepts. If there are any questions related to our Practice, please feel free to contact our Doctors. We are there to serve.